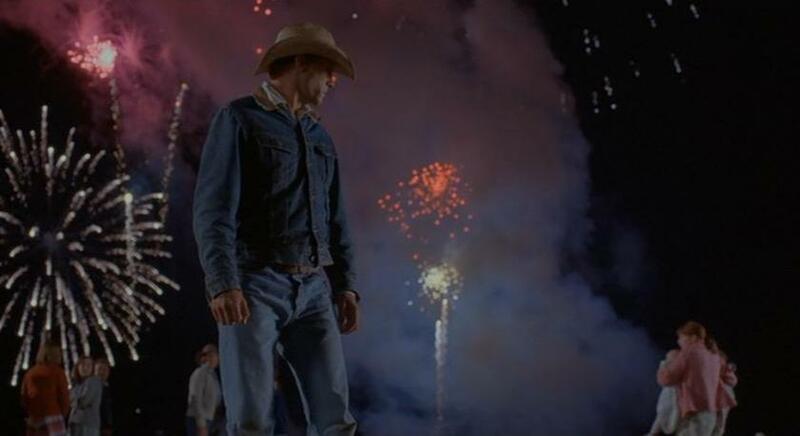 Semi-seditiously, I was admiring but not quite enamored of Sean Penn's two big turns at the end of 2003. A year later, my commitment to Sean bloomed anew, even as my barely corrigible Oscar-centrism took another nutritious, productive beating: the strangely under-buzzed and micro-released The Assassination of Richard Nixon barged forward with my favorite Penn performance yet, or at least since the 1998 two-fer of Hurlyburly and The Thin Red Line. The movie hovers at some distance from a more focused exploration of its story and themes, and the case against whatever initially seemed interesting about Naomi Watts suddenly looked pretty sealed. I hope she bounces back, but none of this matters in the face of Penn's virtuosic turn. Finding humor in a not-obviously-funnier role than those in Mystic and Grams, but selling the paranoia and breakdown without a problem, and pulling the whole picture together by shouting "the money! the money! the money!" 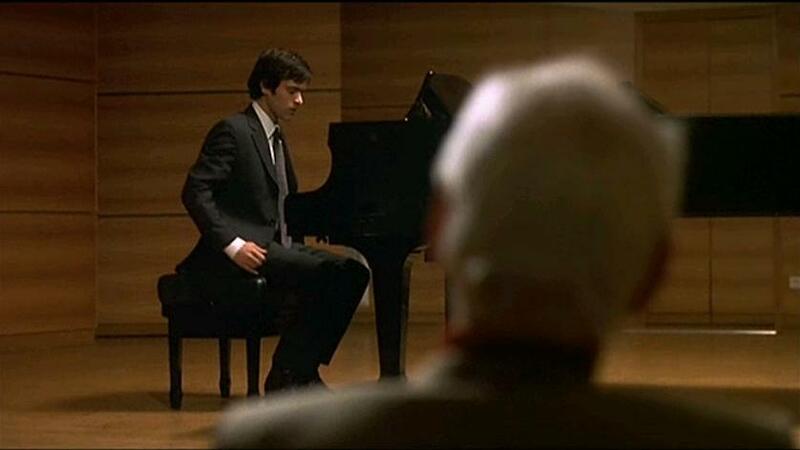 in barely but beautifully controlled semi-improv, this is one of those movies that a lot of Penn fans didn't or couldn't see, but it's the one that has kept me coming back to all of his subsequent performances. And it turns out it's Robin's favorite within his gallery of characterizations, too. For whatever that's worth. Do they even know what that's worth anymore? Whatever. Now, here's a surprise. I would have sworn that I tracked down Blissfully Yours after the 100% bizarre Tropical Malady had such a strange but stirring effect on me. But it turns out that the post-Cannes buzz about the bifurcated, opaque Malady was enough to chute me into Blissfully Yours when it rolled through Cornell, a full year before I caught Malady of necessity on DVD. If anything, Blissfully Yours might even be the better movie, more direct with its emotions and its eroticism, especially in Jenjira Jensuda's simultaneously funny and sour peevishness. But of course Apichatpong has plenty of his usual fun decking out the movie with capricious and runic structural play, line-drawing overlays, delayed credits, long windshield POVs, and sensuous sojourns through the woods. One of a very few working directors, at least among those who make it to any register of the commercial market, who strikes me as doing something legitimately new. The kind of discovery you don't forget. So where were all the good new releases? We were past April Fool's Day and still no peaks to speak of, though I did at least form a good, solid crush on Off the Map, having wondered for years how long this Sundance premiere of 2003 was going to take to reach an audience, and how long it would take Campbell Scott to follow up Big Night, his zesty 1996 directing debut with Stanley Tucci, with another project. Off the Map, proudly and self-consciously small, radiates a level of love and ease with its characters that you don't see more than once or twice a year, particularly when these characters don't "do" anything world-shaping. Although casting Joan Allen as an uninhibited, outdoorsy, earth-mother type with not a single thing to repress counts as a welcome bit of world-shaping. The kind of movie you can watch with your friends or your grandparents, and it'll go over great, even if I adored it rather more than most. Allen was luminous the same spring in The Upside of Anger, and she gives a more complete and type-defying performance in that one, but this is the movie that I feel more driven to revisit. DVDs become more and more plentiful, which is of course fantastic, even though one does need to keep one eye on the DVDs that pass out of print without anyone making a noise. And this was the spring when the now-defunct ClassicFlix, later renamed Silver Screen Archive, made itself known to me via a Google search for Street Angel, which semi-surreptitiously expanded the boundaries of what I could see on disc. But I'm glad that not everything is on DVD. I would almost be sad to lose the chance to see films in the repertory house that aren't available anywhere, had never been available, even on VHS, and which you start accepting that you might just never see. So when The Reckless Moment suddenly appeared on Cornell Cinema's docket, years after my ecstatic introduction to Max Ophuls's work and my warm response to The Deep End had made it a must-see, or must-hope-to-see, I practically flipped. Moment isn't any more perfect than The Deep End is, though in opposite ways. James Mason excels, go figure, and tips the story rather strongly in the direction of the blackmailer, whereas you just know who's going to win in a Tilda Swinton-Goran Visnjic charisma showdown. 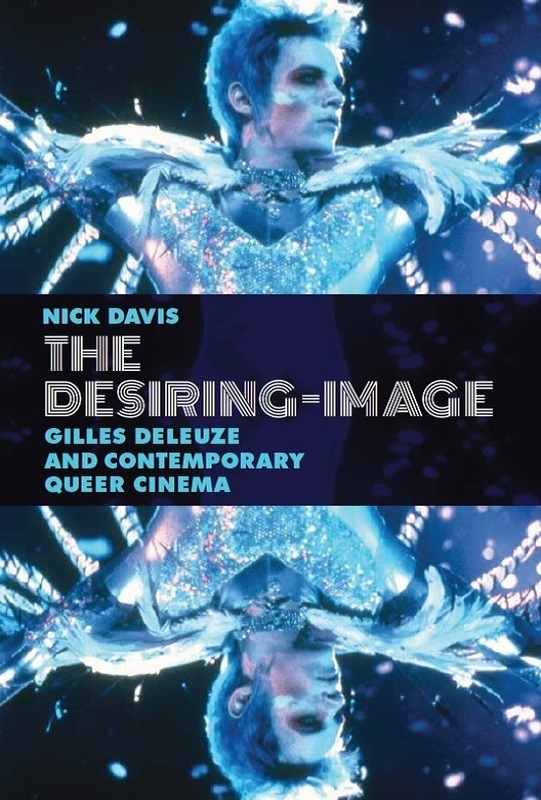 But both films fascinate, they reinforce each other in gripping ways, and I'm just so pleased that I work on campuses that allow me to see these kinds of prints as they were meant to be seen, even if it means leaping at the opportunities when they very briefly arise. Fanny and Alexander wasn't quite my last date at Cornell Cinema before moving away, but it certainly felt like the requisite grand conclusion. Nor was Fanny Bergman's final film, though it feels invigoratingly like the magical, theatrical, nostalgic, and intricate capstone that Bergman's career deserves. I wrote up my passionate response right at the time, and have since done so again for The DVD Stack, but I still feel like I'm only just barely getting to know the film. And not only because I haven't seen the full-length version Bergman made for TV. The film is so rich in images, layers, and ghostly implications that I expect you could spend a whole year with it, relishing it and exploring it, without needing to watch anything else. Another Dinosaur Barbecue-Carousel Mall group outing, and again the food wins over the movie, even though it's a much fairer fight here than it had been with I Am Sam or Finding Neverland. I liked Crash and still do, albeit less than I did on first impression. I've elsewhere called it a "Eugene O'Neill-ish exercise in forcing characters to speak their subconscious thoughts aloud, rather than a snapshot of alleged 'reality,'" and that still holds as my experience of the film. And I think several of the scenes are still crackingbetween Loretta Devine and Matt Dillon, between Shaun Toub and Bahar Soomekh and later between Toub and Michael Peña, between Thandie Newton and Terrence Howard, between Newton and Dillon in that burning SUV. But no, I had no sense of watching the year's eventual Best Picture winner, and in fact I rarely have this entire decade. And I'll never forget my friend Ann's fantastically scabrous demurral upon exiting the theater: "I feel like Haggis was just sitting at the word processor, calling over his shoulder to his wife in the next room, 'Hey, Honey?? Can you help me think of another good slang-term for Asian people? So far, I can only think of two." My last week in Ithaca, and my last two dates at its cinemas. One with My Summer of Love, in the company of my dear friend Shirleen, and I suspect it's a movie I'd like a lot better on revisit, when I wasn't so annoyed by the transparency of the "twist," or by what I perceived as the inequity between the lead performers. For my money, Natalie Press was running circles around the more thickly arch style of Emily Blunt, even if you correct for Tamsin's fundamental hauteur as a character. I've been a bit surprised at which actress has moved into the more thriving career, although Press is such a strange, Spacek-ish presence that one can hardly expect her to be a boon to casting directors. Fitting, I suppose, that I'd end my six-year affair with Cinemapolis with such a retrospective, I-was-never-again-the-same-after-that type of story. 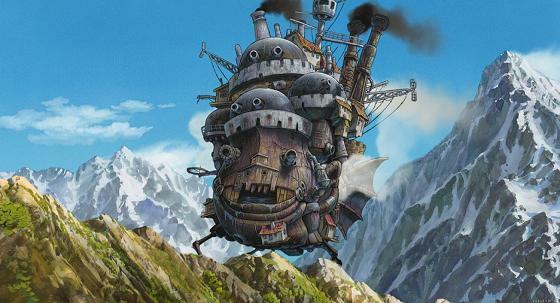 And Howl's Moving Castle, about a fantastically mobile edifice, was hyperstimulating if a bit top-heavy, and an unwittingly apt entertainment on the eve of a major move. As sad as I was to leave Ithaca, my first moviegoing experience in Hartford could hardly have gone better. Real Art Ways is a combination gallery, screening, and live performance space, so almost anything you experience within the complex draws a kind of synaesthetic charge from the aggregate of artistic energies. And they had just sold one of their gallery shows to the permanent collection of the Guggenheim, so the whole complex was brimming with a kind of palpable excitement about their own good work. The Beat That My Heart Skipped, Jacques Audiard's stunningly vital bruiser of a character study, would have made for a savory night at the movies under any circumstances, but I can't tell you how thankful I was to have a first date with Hartford that paid so many emotional and artistic dividends. The title virtually doubled as a description of my leaping optimism, and my sigh of relief, on my first or second day in town: I would be happy here! Insanity at the rep-house. 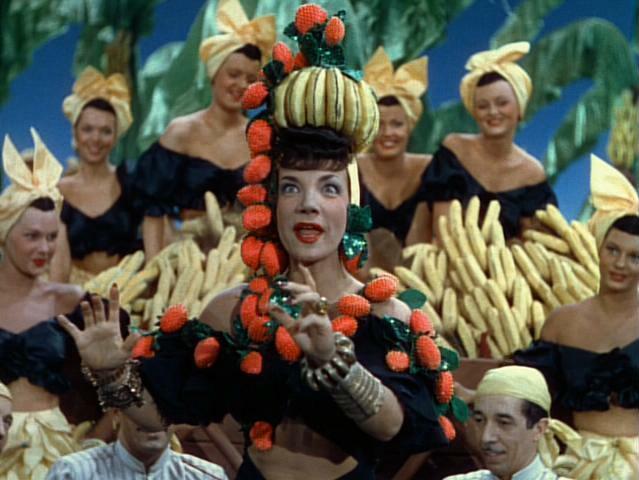 Alice Faye and a bland gaggle of leading men bopping through Busby Berkeley's The Gang's All Here, though I challenge anyone to remember it as anything but a Carmen Miranda vehicle, especially after the midfilm carnival of camp, "The Lady in the Tutti Frutti Hat". Derek and I discovered to our elation that we were sitting right next to the owner of the print, a guy who for years had been collecting archive-quality prints of old-studio favorites of his and showing them in his Ohio living room. He'd loaned it to the Film Forum for the evening and was so obviously jazzed to see his baby up there in lights. The Forum had it double-programmed with Cobra Woman, another picture with a thriving presence on YouTube. It's mostly strung together as an excuse for high-wackadoo scenes in which an ancient, half-reptile priestess points her fingers madly at her congregated subjects, electing who will die. A merry time for everybody. But if you lived in this kingdom, wouldn't you just... not show up to the community meetings? Still, at least I wouldn't go through the rest of my life wondering what all the queens were talking about when they giggled about Maria Montez. Derek and I snuck in 2046 on an extremely rainy early evening, riding out our resplendent mood after our first gay wedding, and a modern, fabulous one at that. And one of the grooms is, I believe, a huge Wong fan, and their ceremony had been a Wong-worthy splash of costume and natty color, so it all made gorgeous sense. It also felt right to watch this swoony, blinking-light fashion show while still sporting our wedding best. I didn't fall for the movie the way I had for most of the other Wongs I had seen, and after the dismal experience that summer of his fatuous contribution to the anthology film Eros, I started to teeter in my warmth toward his work. But seeing it a second time a few months later in Hartford and then teaching it not long ago at Northwestern have pretty fully won me over. I'm not really back in the Wong Forever Club, but 2046 isn't to blame. Derek, who slept through a good bit of the second hour, has proven less movable. "Jesus, how many crying Asian women do I need to see in close-up, and in one film!" Somewhere between his take on 2046 and Ann's on Crash lies a synthesis we all need to see. Maybe a Taiwanese production of The Trojan Women, dressed in couture, with Ludacris as Menelaus. And robots. More of them than just Brendan Fraser. Giant wasn't my first night at Cinestudio, the on-campus single-screen theater at Trinity College, which also functions as a venue to bring some movies to the larger Hartford audience that even Real Art Ways or the middlebrow arthouse Cinema City cannot make room for. But I always think of Giant as my first rendezvous in that space, because as I've just said, Eros, the actual owner of that title, was not at all my cup of tea. And Giant is just the sort of mega-scale, multi-hour 50s film that one rarely feels incentive to pop into the home player, but I leapt to catch in a rare booking on screen. The best surprise is that it's wonderful: tonally more varied than I had expected, with more comic undertones than you'd see coming based on its size and reputation, featuring some spry work from all three leads, plus an indelibly brooding turn from Mercedes McCambridge, the Butch to Beat Them All. The poop. The dead not dead bumblebee. The grisly audio tape, and Jewel's refusal of it: "I swear I never will, Werner!" The story of meeting at Medieval Times, after a meal on fire. The impenetrable riddle of the girlfriend. The named animals: Mr. Chocolate, Michelle Pfeiffer. That strangely debonair fox, who has the good sense to look palpably embarrassed by Timothy and his camera. The sterling landscapes. The greens and blues. The bear snouts, right up against the lens. The deadpan Teutonic narration. 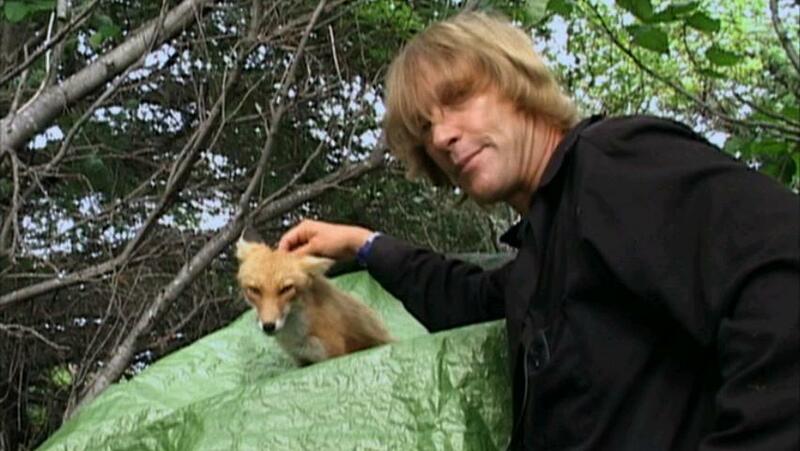 I have more to say about Grizzly Man, and I'll have reason to say it soon, but after this and Beat and Gus Van Sant's electrifying Last Days, Real Art Ways was starting to look like a venue that could do no wrong. In fact, it could only do very, very, very right. A movie I wouldn't have seen but for the longing for something to do, the debatable lure of a Sundance prize, and a desire to see a movie whose premise and plot I realized I knew nothing about. That rarely happens anymore, and it will be hard for it to happen again quite so exquisitely as it happened with Junebug. As with Grizzly Man, I'm saving up more to say about this gently but decisively expectation-defying picture, the little movie that could (and did!). In fact, let's splurge: I've just gone ahead and said it. As had happened at the end of 2002 with the one-two punch of Morvern Callar and Russian Ark, I had seen two masterworks inside of a week that I had no doubt I'd be revisiting with consummate glee for many years to come. How often does that transpire, and in two such disparate idioms? Rize has a few weird ideas, pushing a little ferociously its opening thesis that crump-dancing traces a direct line back to the horrors of the Middle Passage. 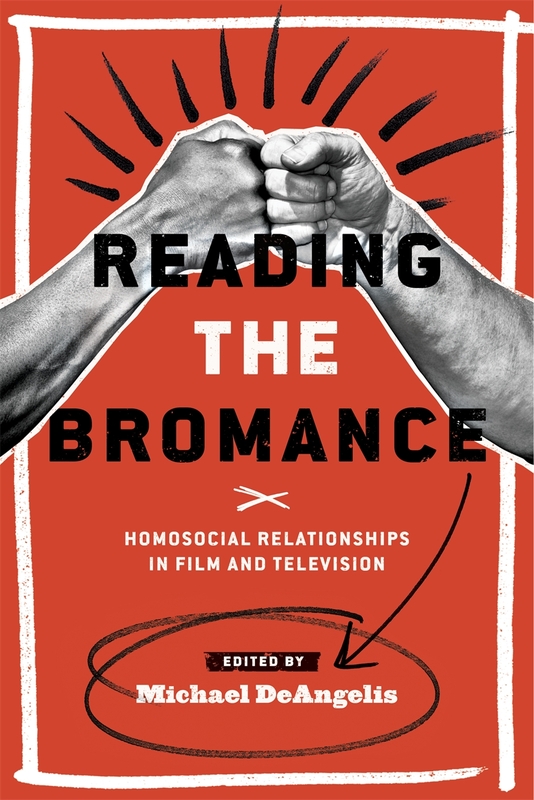 There's much more interesting and credible sociology to follow, particularly as the movie exposes how a major fold in modern hip-hop culture grew out of backyard clown-centered birthday parties for kids. But the reason Rize appears in this digest has less to do with the film, impressive though it often is, than because it's the last motion picture soundtrack I'd already made up my mind to buy while still sitting in the cinema, and the Flii Stylz tracks still get heavy play on my iPod. Much to the delight, bemusement, and perplexity of fellow riders of the Chicago public transportation. I'm a committed head bobber. But I don't crump. On the train. Another Hartford visit from The Film Experience! What's different this time is that Pride & Prejudice, quite unexpectedly, turns out to be marvelous, and not just because Nathaniel vaults into a wonderful mood upon learning that the local coffee shop is already selling its seasonal pumpkin-spice lattes, less than two weeks into November. We grab some on the way there and on the way back. Because I work in an English department, I still get guff from very close friends about finding this movie so ingratiating and dear, but the handling of the actors and the light touch of the edits and the sequence-shots are just not things I'm willing to second-guess, despite how obviously Austen's novel is onto much grander and frankly different issues (hint: the book is not precisely a romance). We ate it up, and maybe that has to do with how increasingly rare it is that a movie seems totally gratuitous and boringly market-safeanother version of this story, already, and looking very BBC-ish in the ads?only to reveal itself as very specifically cinematic, and with a very different tone and orientation than the most recent takes on the book. We thrilled so much to P&P that Nathaniel forgave me that to get to Cinema City, you had to walk 2 miles, in the opposite direction from my apartment... entailing for about half that distance a stroll alongside a four-lane state highway with no curb or sidewalk, and then a dash across an active exit-ramp for Interstate 91, and then you had to traverse an overpass over Route 5, and then turn right at a golfclub warehouse and a Shell station, and then sprint across yet another on/off ramp for Route 5 that has no traffic light or crosswalk, and then you get there. After trudging past the tarmac of the local private-craft airport. Look, I just don't want a driver's license or an auto loan or an insurance payment, okay? Ask Nathaniel how horrified he was by all this, but we made it. Later that night, The Dying Gaul, which was the movie we'd expected to love that day, turned out to be a pretty huge misfire for both us, which is surprising given that a) Patricia Clarkson is one of the leads, and b) Campbell Scott makes out with Peter Sarsgaard. So let no one say that we make up our minds about stuff before actually seeing the movies. Or rather, I love seeing movies with Nathaniel because we do work ourselves into such a ridiculous dither of expectation and preparation, but we're both so willing to toss all that out once the first reel starts to roll. And we often disagree. But it's lovely when we don't. I was trying to draw a convoluted connection between Night and Day and something on this log, but I'll settle for both it and Blissfully Yours playing a week at Facets. I liked Night and Day. It adopts Rohmer's diary structure, which leads to some wonderfully abrupt cuts. Hong's dedicated his career, as you might have heard, to ruthlessly dissecting the Korean man, and this one can be summarized as an advertisement for castration (wink wink), if that didn't preclude Hong making ten more movies just like this one. Park Eun-Hye is terrific as a flighty coed alluring to men but that women can't stand. The film is unwieldy and its dialogue a little too straightforward, but it's always compelling and often very funny. You should see it if you're not too busy grading and remembering the last four years (maybe these are in the can). Damn, but I still need to see Blissfully Your, and most other Weerasethakul for that matter. I'm glad that you've finally hit the point where I was keeping my own film diary (started it up with the blog), because it means that I can be certain in saying that we had almost the exact same experience with Junebug. And I had completely forgotten about Rize, but your brief write-up reminds me of what I liked about it so much at the time. 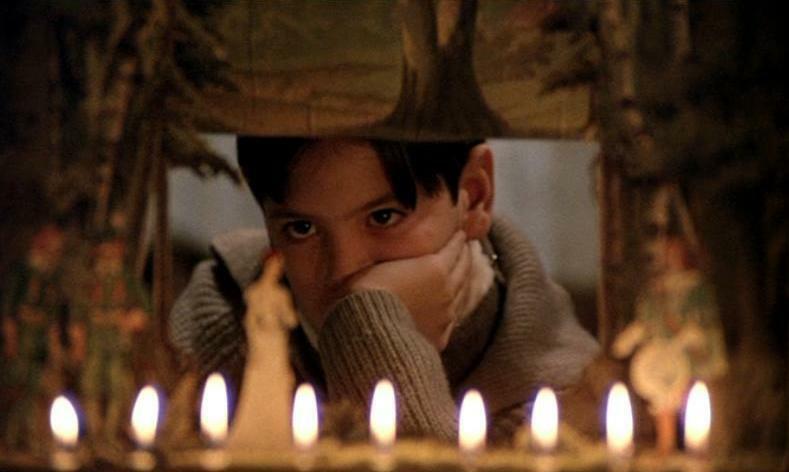 Incidentally, Fanny & Alexander in its TV-length glory is infinitely richer and more hypnotic than the still-wonderful theatrical cut; after five years and three viewings, I still don't think I've made the first bit of headway into exhausting it. The Crition set is one of the best blind-buys I've ever made. I really do need to clear five hours for the full-on Fanny and Alexander. Meanwhile, because I'm a softie, and I've had it written up for a while, and your remark about Junebug just fills me all the more with an immediate sense of how much I love that film, I've just posted its entry in the Favorites Countdown. It comes in at #18, and we had previously only reached #25, but having to play catch-up to seal up those holes is the best incentive to finish that feature, now four years in the making (!). For all of you who want to hear me rattle on at even greater length about Junebug, have at it! i love this entry so much because now I get to actually be a part of these extraordinary film diaries. It does seem a bit strange that it took us years of friendship before seeing a movie together but we have geography to thank for that incongruous detail. I remember our recurring costume designer jokes ("beatrix aruna paztor never would have thought of that!") as well as these moviegoing experiences vividly if not quite chronologically but your memory is infinitely better than mine. and P.S. i also want to be Claude. So... tiebreaker. @Tim: I didn't remember the sparseness of the audience right off (though you're right), because that was kind of Hartford's m.o., especially at that theatre, unless you were hitting it on Friday night. I remember my post-Thanksgiving triple-feature of Walk the Line, Rent, and Narnia was a pretty constant crowd, but it was often pretty empty in there. As you can see, I did my best to make up for that. @Nathaniel: Pumpkin-flavored coffee? I don't know about that. Just like I don't know why Colleen Atwood woke up in 2000 and said to herself, "In this decade, I'm only going to do shredded fabrics!!" 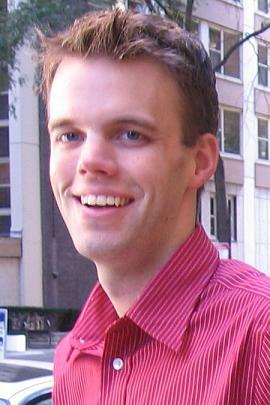 Also @Nathaniel: Chin up, you're in the next one, too! Nick, what are your thoughts/feelings/recollections about Rachel, Rachel and Joanne Woodward's performance? @CCW: Saving up a longer comment for later, but I like the movie very much, and it's easily my favorite Woodward performance.